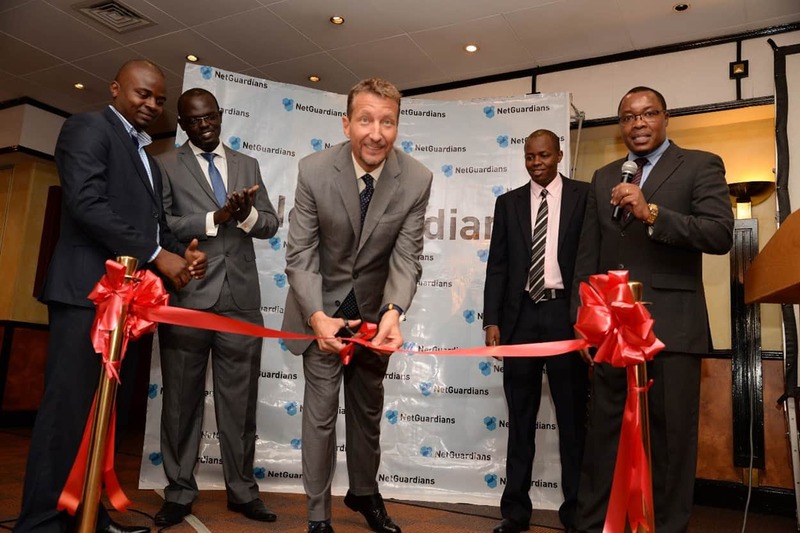 Nairobi, 22 April 2016 – Swiss fintech innovator NetGuardians, known for their highly-effective anti-fraud solutions, is pleased to announce the official launch of NetGuardians Africa in Nairobi. NetGuardians is the Swiss innovator behind FraudGuardian, a unique software solution that provides critical controls against fraud to protect bank clients and ensure regulatory compliance. NetGuardians clients appreciate their consultative approach: Risk consultants help identify and address specific anti-fraud requirements (such as mobile banking fraud, e-banking fraud, information manipulation, account takeover, data theft, etc.) with FraudGuardian’s automated and predefined controls. NetGuardians combines the banking industry knowledge with advanced analytics that enable banks to detect and prevent fraud before it happens. Numerous banks in Kenya already rely on NetGuardians solutions, including the Commercial Bank of Africa, NIC Bank, and Kenya Women Finance Trust. NetGuardians Africa will also serve other clients in the continent including the National Bank of Kuwait in Egypt and the Commercial Bank of Ethiopia. NetGuardians Africa offices will be staffed by a team including Regional Director John Busunkwi, Risk Consultant John Kiptum, and partners Wycliff Muma Professional Services. Further recruitment is expected in 2016. The offices are located at the KMA Centre in Mara Road Upper Hill in Nairobi. NetGuardians Africa Inauguration was celebrated with a cocktail event on the 21st of April 2016 at Serena Hotel in Nairobi. The event was attended by clients, partners, media, NetGuardians personnel including the Head of R&D Jérôme Kehrli, and the Deputy to the Swiss Ambassador to the Republic of Kenya His Excellence Mirko Giulietti. At the event, NetGuardians’ Head of R&D gave a presentation on the latest fraud use cases and advances in NetGuardians’ Enterprise Fraud Management technology. The Deputy Swiss Ambassador to Kenya Mirko Giulietti as he cuts the ribbon to mark the official opening of NetGuardians Africa. Founded in 2007, NetGuardians was the first company to emerge from the innovation incubator Y-Parc, in Yverdon-les-Bains, Switzerland. Since then, they have seen a steadily growing client base in Europe, the Middle East, Africa, and Asia. In 2015, the company was named a Gartner “Cool Vendor” in the “Cool Vendors in Audit and Compliance Innovate Controls Validation Techniques” category.